Use leftover smoothies to make more smoothies! 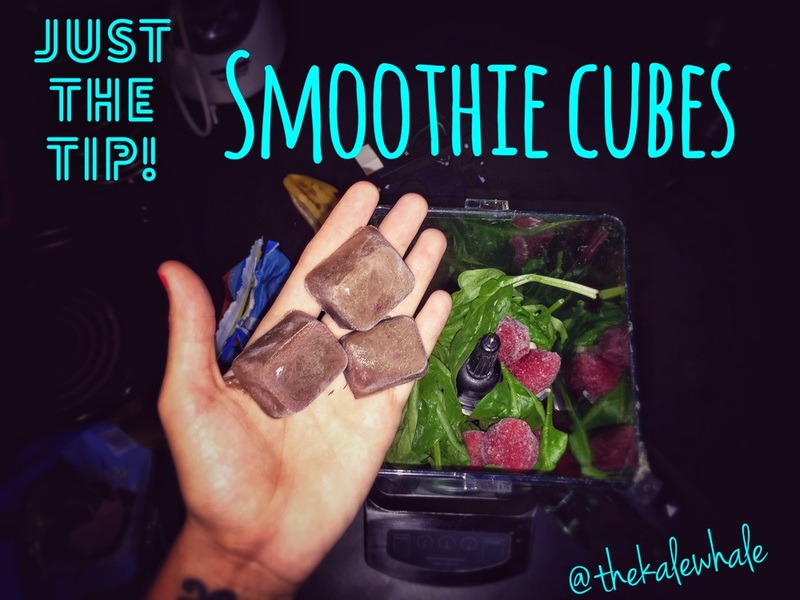 We don't always have leftover smoothies, but when we do, we make smoothie cubes! Making veggie stock from scraps! Keep a bag in your freezer to toss all your vegetable scraps in. Then when the mood strikes you, plop the scraps in a boiling pot of water and simmer for about 45 minutes, then strain. Voila! Free magical vegetable stock, and you feel good about not wasting anything. When making walnut "meat," you don't have to break out the bulky blender or food processor. Just bang it! A hammer, rolling pin, silver spoon - any of these things will work to crumble the nuts.